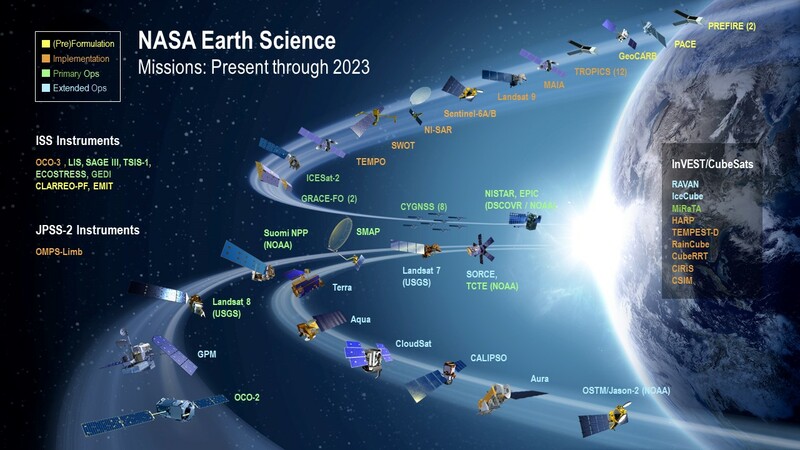 NASA's Earth Observing System (EOS) is comprised of a series of Earth sensing satellites, a science component, and a data system called the Earth Observing System Data and Information System (EOSDIS). NASA's Distributed Active Archive Centers (DAACs) distribute more than 2,400 Earth system science data products and associated services for interdisciplinary studies. These DAACs process, archive, document, and distribute data from NASA's past and current Earth system science research satellites and field programs. Each center serves one or more specific Earth science discipline and provides its user community with data products, data information, services, and tools unique to its particular science. There are also reference sheets available for each of the science disciplines.